To understand the “Kong Movement,” it is important to know the history behind it. Shelters are, by nature, stressful environments for animals. Common causes of this stress include: isolation, confinement, limited social interactions, unpredictability, and the inability to control any part of the environment. This then increases the incidence of infectious diseases, as studies have demonstrated that decreased behavioral health causes a drop in immune system function. This brings us into the Kong Movement. 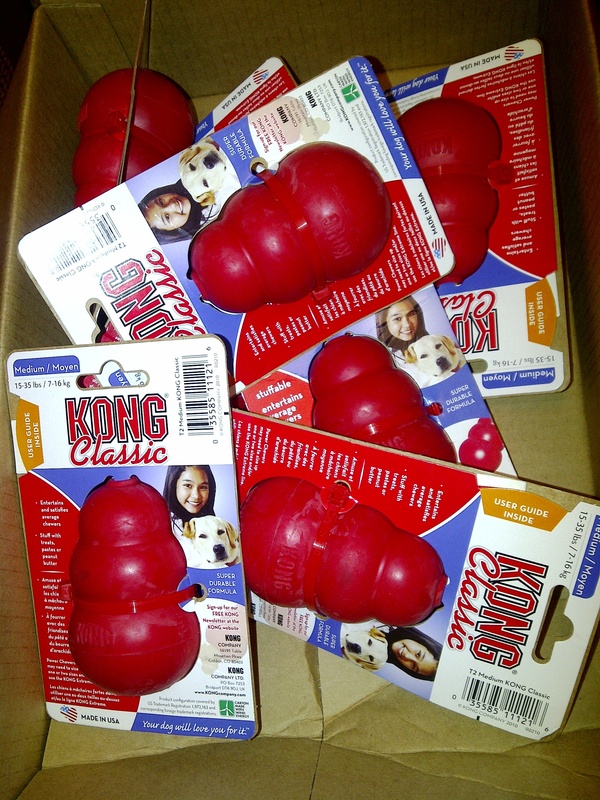 In order to battle – or at the very least, mitigate – kennel craze, KellyMitchell is raising money for an essential dog toy called a ‘Kong,’ which peanut butter or treats are placed inside of. Volunteers at the Human Society of Missouri have recognized the importance of Kongs in preventing Kennel Craze, and have regularly schedule days to provide each dog up for adoption a food Kong. All dogs will be given an opportunity to work on the toys and extract the delectable smorgasbord they contain. The toys will then be removed, cleaned and prepared for the next session. Various toys will be alternated regularly to prevent boredom. 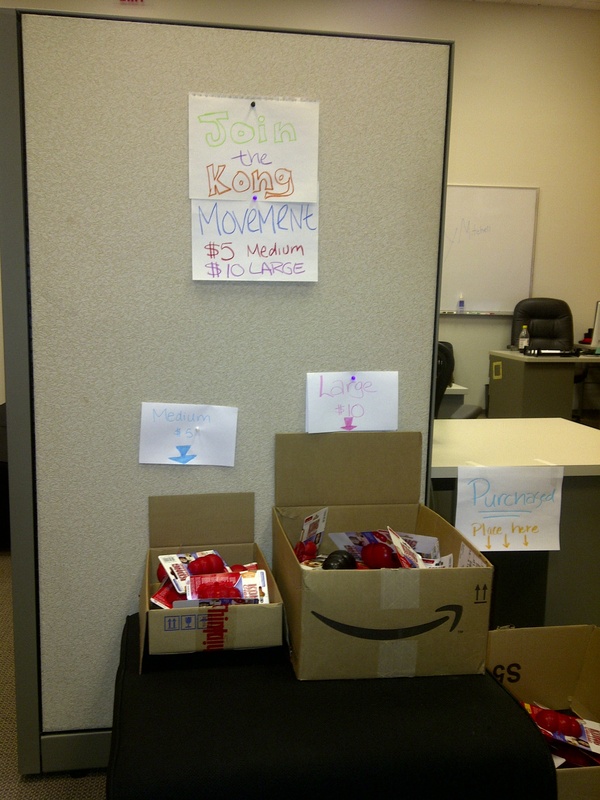 So far, KellyMitchell employees have donated 50+ Kongs of all different sizes to benefit the dogs of the St. Louis Human Society. Let us know if you would like to contribute to the Kong Movement too!